How would you like to tell me the top three things fellow photographers should know about Mark Metternich. I am an extremely passionate landscape and nature photographer. I have been doing photography full-time for over 10 years and my specialty is dynamic, dramatic landscapes with a lot of wide-angle work. I work very hard to find original locations and create excellent adventures for the people who participate in my workshops. 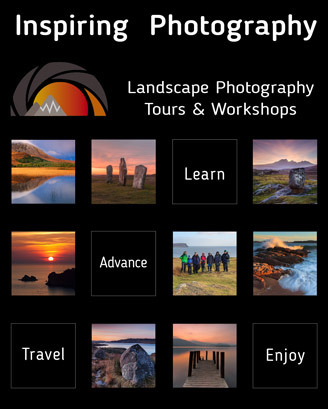 I lead photography workshops all year round with the exception of 2-3 months when I am at home (wherever that may be). Otherwise, I’m on the road in the Southwest, Northwest, Glacier National Park, Canadian Rockies, Patagonia or other places abroad. This year I’m going to visit Israel, Egypt, Jordan, Turkey, Italy and Greece, all for scouting purposes and my own personal healing that nature brings to me. I love to share the awesomeness and the beauty of creation with other people and I love to be able to serve them. I also love to help them get up to speed with their Photoshop and post-processing skill sets. That’s the main thing I do. Leading, guiding and I also have a strong background in the academic side of post-processing and Photoshop. That leads me to doing a lot of video tutorials and instruction. How did you get started in photography full-time? What did you do before? I was a struggling musician and doing hard blue-collar jobs. Gosh, music, that sounds so irresponsible. I was very, very passionate about guitar, but at the time I was married and we were considering having kids. I wanted to do something that would have me home a little more, so I went to school for graphic design.